EnduroSat's Structures have a minimalistic design and are easy to assemble. They also provide a physically safe environment for the customer's payload and subsystems during all phases of the mission (e.g. launch phase). These qualities ensure stable operation of the CubeSat. 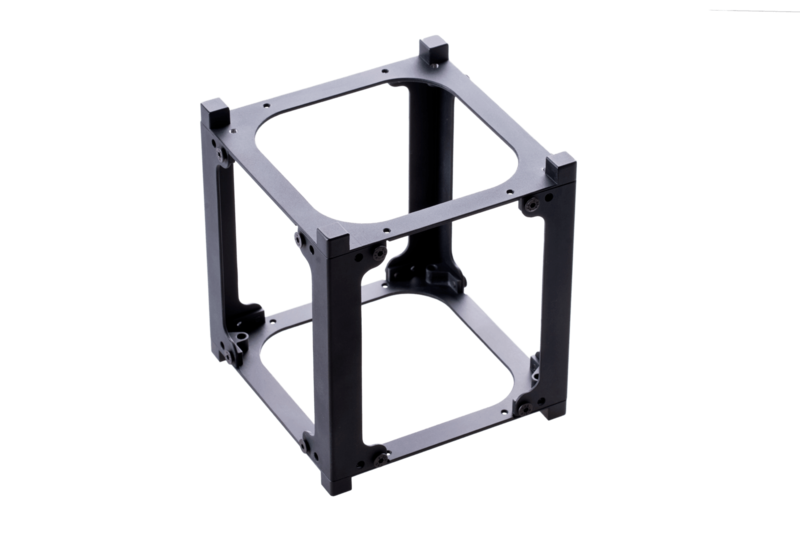 Our Structure products comply with the CubeSat standard and are compatible with a wide range of CubeSat subsystem producers. They also come with kill switches and 2 separation springs already integrated. A full campaign of tests at qualification level were performed on the Qualification Engineering Model of EnduroSat's Structure products following ESA standard ECSS-E-ST-10-03C and NASA standard GEVS: GSFC-STD-7000A. EnduroSat's Structure products are designed to be modular and are made up of 3 types of elements (top, bottom, and legs). This design approach allows the top and bottom elements to be used for different form factors. For instance, a 1U Structure can be converted to a 1.5U Structure by changing only the leg elements.